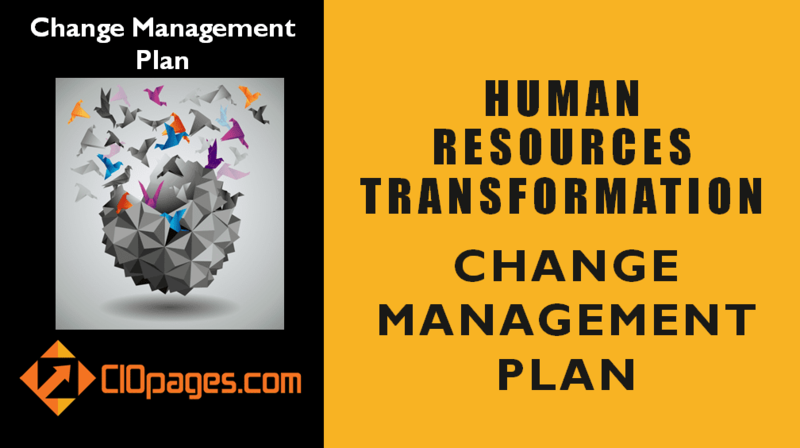 CIOPages.com Human Resources Transformation Change Management Plan is a customizable deliverable outlining the concepts and specific action plans required to implement change management plans as a part of significant process re-engineering or systems implementation in the HR function. The Human Resources Transformation Change Management Plan includes an overall general change plan accompanied by a customizable sample/proforma version. A PowerPoint presentation with an overview of change management, the change management frameworks, an outline of the change management plan, and a specific sample plan for HR transformation change management. What does the Human Resources Transformation Change Management Plan deliverable contain? An Introduction to Change Management (CM) and many leading Change Management Frameworks. A Guide to Change Management in the digital age. A sample Change Management plan that can form the basis for your Change Management program. Understand Change Management and how to win with it in the digital age. Have a template for your Change Management program. As the CIOPages.com Human Resources Transformation Change Management Plan is a digital product, there are absolutely NO Returns. Depending on your industry, the type of Human Resources processes and practices you follow, some of the content may not be relevant to you. What is HR Transformation Change Management Plan? A change management plan addresses how to manage the people side of organizational change systematically. Change management is often an afterthought in a transformation program, and consequently, the entire transformation could be in jeopardy. The Human Resources Transformation Change Management Plan addresses the issue and provides a comprehensive approach to defining and operationalizing a change management program. How should I use Human Resources Transformation Change Management Plan deliverable? 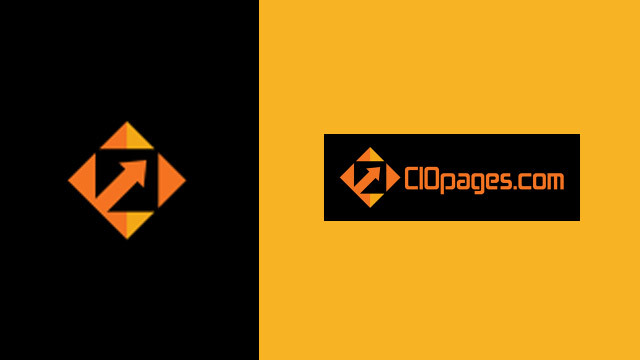 CIOPages Human Resources Transformation Change Management Plan deliverable is a guide to understanding change management, and the various frameworks. It allows you to craft a change management plan based on the sample HR Change Management Plan included as a part of the deliverable. You may use the content as a reference point and adjust your change management plans. Of course, every business is slightly different regarding how the Human Resources function operates and is structured. However, a transformation program impacts all the employees – irrespective of the type of industry or sector you work. The divergence may be in the types of workers – blue collar or white collar; temp, contract, contingent or permanent; unionized, etc. But an HRIS transformation impacts all categories of employees. Last but not the least, we don’t expect our Change Management Plan to fit you 100%. We expect you to take this as a straw model or a base and a springboard to achieve the level customization and specificity you desire. Accelerated time to value by using the customizable content. Time saved by not having to research and assemble a change management plan from scratch. Minimize the opportunity cost of SMEs time. Human Resources Transformation Change Management Plan is available at a steep discount as a part of the HR Transformation Toolkit Consultancy Edition. Would you rather consider purchasing the bundle?